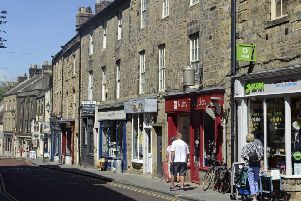 I read with interest the article regarding the music festival plans for Alnwick, (Northumberland Gazette, January 24). The idea of a six, three, or four-day festival is a good one. The only thing that is not a good idea is moving to a field near The Alnwick Garden. This is going to do the town centre a lot of harm as the shops, café and restaurants make a little bit of money while it is on – this year that won’t happen. Just a few weeks ago the headlines in the Gazette were ‘Save our town centre shops’. This doesn’t seem to be the case in Alnwick, everything is geared up to be at The Alnwick Garden. What about the older people who have to walk to the event? Already the programme director is saying it is an exciting venture – I agree. Eight days was too long, but the former venue in the Market Place was ideal. Organisers are planning two marquees that would need to be paid for. I think it is some of the local acts they ought to get rid of. Give this a second thought and let the town centre make a bit of money. Let’s at least have a few days with a lively town centre, instead of a deserted one.